There are many non-Muslim communities in the Islamic world. In the 12th century, the Crusaders dreamed of occupying Jerusalem and bringing the wealth of Eastern cities to Europe from Syria and Palestine. Trade activities in the eastern Mediterranean started to flourish. The European locals of the Crusader states along the eastern Mediterranean coast were called Levantines, derived from the French word "levere," which means "the rise of the Sun." The word refers to the direction in which the sun rises- in the east. After the 16th century, the term Levantine referred to the residents of coastal regions in Anatolia and Syria, Greece, Egypt and the Middle East. The French mandates in Syria after 1918 were called the Levant States. From the beginning of the 11th century, Italians poured into eastern Mediterranean harbors to purchase spice and silk. Although Muslims invaded the Crusader states in this region, the invasions did not adversely impact trade activities. Settling down in the East Mediterranean and marr ying local non-Muslims, including Greeks, Armenians and Jews, the Europeans made a new social class. In those days, one could not imagine a Europe in which one can see mosques, madrasas, bazaars or people wearing hijabs. However, new neighborhoods were established in Islamic countries with foreign residents living in peace and in a privileged position. At the time of Byzantine Empire, there were locals from some Italian cities, including Venice, Geneva, Amalfi and Pisa. In 991, the Byzantine Empire granted trade concessions to foreign populations fighting for their interests tooth and nail. Furthermore, Istanbul's Galata district, where these people lived, had some autonomy. The Mamluk Sultanate of Egypt granted trade concessions to the French and the Catalans in 1252. After capturing Egyptian territories in the 16th century, the Ottomans recognized these bilateral acts. Afterwards, these arrangements were expanded first to the Ottoman territories and then the European powers. These concessions are generally referred as the "Capitulations." In the 16th century, international shipping companies were known as after the Levant and their employees or representatives were called Levantines. As time went on, the term was applied to European people who were born and raised within the Ottoman borders. Apart from their strategic importance, the cities where Levantines settled, such as Istanbul and İzmir, were favorable for trade due to their warm, safe and peaceful environments. For a long time, the Levantines of Istanbul settled in Beyoğlu and its surroundings. Beyoğlu was also known as Pera, which means "across" in Greek. In 1453, when the Ottoman armies invaded Istanbul (then known as Constantinople), there were 600 Italian families in Beyoğlu. After the foundation of the Turkish Republic, the Levantine population reached 20,000 people in 1927. Many Levantines living there never walked across the historic peninsula and did not know Ottoman Turkish. 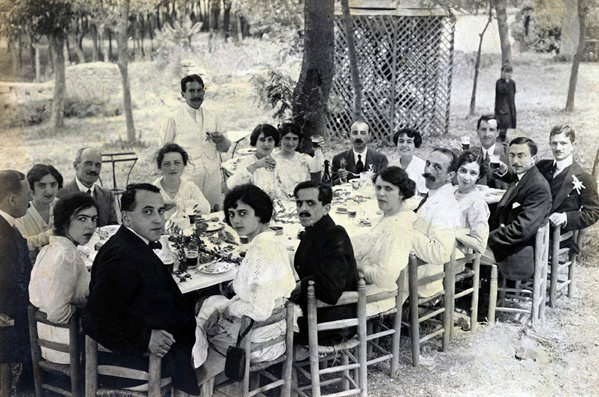 As a cosmopolitan, isolated community, the Levantines continued their life with their unique traditions. Some of them assimilated with local non-Muslims through marriage. Levantines were of Italian, Maltese, Catalan, Spanish and Polish origins. Afterwards, their population expanded to include Dutch, German and English people. The Levantines had a different accent with archaic words and phrases. Most Levantines were Catholic. They attended church with clerics under the spiritual leadership of the pope. Later, English Levantines founded Protestant churches. Schools were established with instruction in their own languages. Legal disputes among the Levantines were not resolved in Ottoman courts, but in their embassies or consulates pursuant to their own law. If a defendant was Ottoman, the case took place in an Ottoman court, and a legal interpreter was allocated to mediate between the parties. While the Levantines preserved their own languages and religions, they also adopted some customs of the local people. Married to non-Muslims, Levantines spoke local languages such as Greek and Ladino (Judaeo-Spanish) and continued their own lifestyle. Although their citizenship and churches were different, they always acted together for the sake of their common interests. They were used to marrying other Levantines. Therefore, some of them had dual citizenship. Most of them did not have a passport or citizenship. However, they acquired Ottoman citizenship under the rule of Sultan Abdul Hamid. The Levantines of Istanbul settled in Beyoğlu, Büyükdere Street, the Princes' Islands and Moda Street. 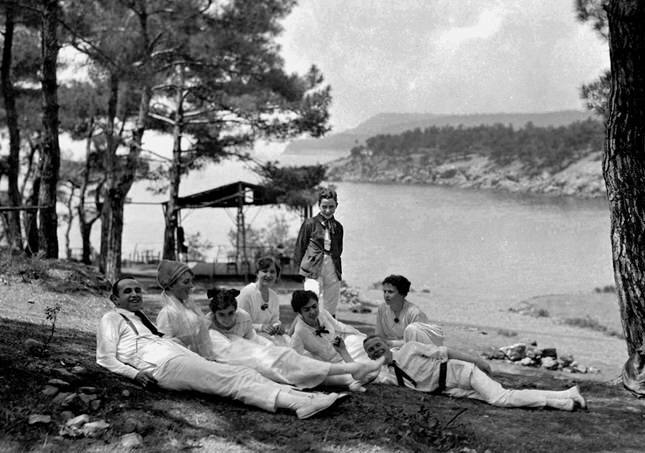 The others mostly lived in the districts of Alsancak (Punta) and Bornova in İzmir. Only a few Levantine-style houses have survived until today. Located in wellkept streets, it was possible to differentiate these comfortable houses by their whitewash and yards. Their settlements looked like small European cities with stylish restaurants, cafes, photo studios, large stores, theaters, balls and lively festivals. Upon invitation, many artists, from composer Ferenc Liszt to the actress Sarah Bernhardt, came to Istanbul to perform. In addition to storehouses, workshops and plants, Levantines owned farmhouses and gardens in the countryside. They played various sports, such as horseback riding, football and tennis. Although European newspapers were popular among the Levantines, notably those in French, there were many newspapers in various Levantine languages. In 1900, the number of newspaper prints numbered more than 100,000 in the Ottoman Empire, 20,000 of which were printed in Levantine districts. In the same year, there were 139 Levantine newspapers and magazines. Since most of these included feature and informative writings, the Ottoman intellectuals preferred them for learning about the World. In their social life, Levant populations generally imitated the European lifestyle, referred to as "alafranga" (the European style), creating art and a style of fashion that the Ottoman community looked down upon. However, there were non-Muslims and even Muslims interested in the European style of Levantines, and they established close relationships to enjoy their unique lifestyle. For instance, there were local Armenians and Jews who lived the life of the Levantines. To benefit from the Capitulations, some of them took foreign citizenship. Referring to the difference between freshwater and saltwater fish, Ottoman Muslims sarcastically named them "Fresh Water Franc," as the Ottomans generally called Western Europeans "Franc." On the other hand, Levantines were called "Oriental." Not just the Ottomans, but also some European authors and historians, such as Joseph von Hammer-Purgstall, despised Levantines and wrote about them sarcastically. The number of Levantines who settled in wellknown Ottoman cities increased between the 18th and 19th centuries. The discovery of new trade routes did not lessen the power of Levant trade. Europe was able to establish commercial and economic dominance through Levantines, who played a decisive role in Ottoman diplomacy. Some Levantines worked as interpreters in European embassies or were granted noble titles, such as Baron Testa, who contributed to the field of diplomacy saving valuable Ottoman agreements in his collection. 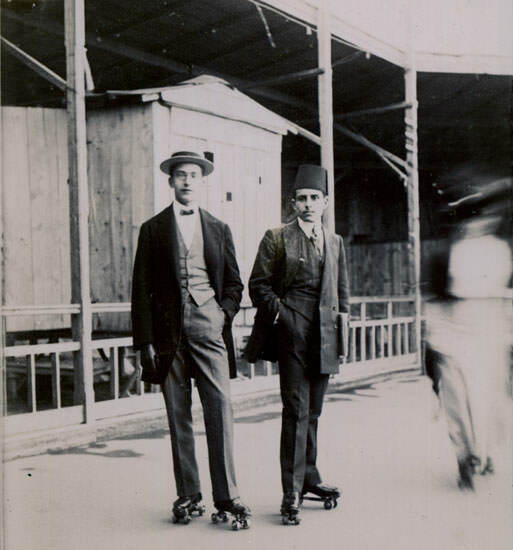 Other famous Levantines had important roles in community life, such as Beyoğlu Mayor Edouard Blacque, banker Jacques Alléon or Reginald La Fontaine Whittall, who turned Moda into a residential district. 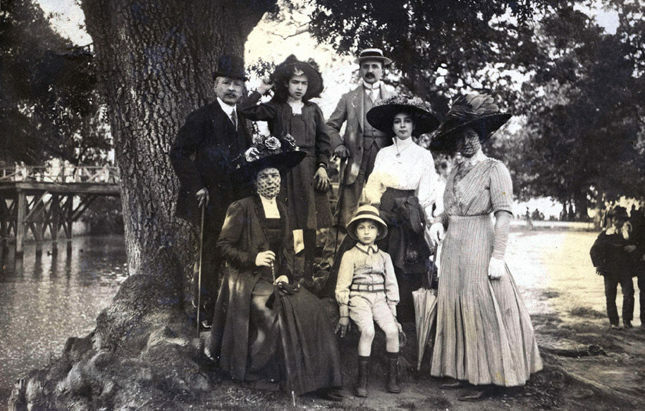 About a century ago, there were nearly 14,000 Levantines in Istanbul, with the largest population being French, followed by Italians, Germans and English. Following the Tanzimat reform era that started in 1839, the Levantines' financial status became stronger due to the assurance of fundamental rights and freedoms. The reforms attempted to integrate Ottoman society with Europe. Levantines took the shares of European capital and were granted mineral rights, or the right of exploiting an area through mining. They became more powerful and wealthy by brokering government bonds. Their economic success and concessions infuriated Ottoman intellectuals, who fell behind the Europeans. Since they were living in the East, the Ottomans despised and criticized Levantines for their Europeanstyle clothes. When the Committee of Union and Progress came into power after the Second Constitutional Era in 1908, Levantines were adversely affected by extremist nationalist policies. Their financial concessions were restricted when the Capitulations were removed in 1914, followed by the defeat in World War I and the establishment of the Turkish Republic. The Great Depression was the final knockdown. They quit their jobs and left their homes due to high maintenance costs. Most of these houses became government property. For example, Baltacı Mansion in İzmir's Buca district was transformed into a secondary school, and Rees Mansion was turned into a teacher's school. a significant mark on Turkish history.